FencingSA, in conjunction with the Australian Fencing Federation, are proud to host this 2nd event of the Australian Fencing Circuit. 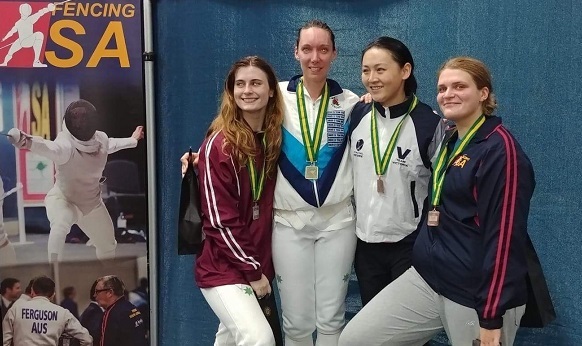 Held on the Queen's Birthday long weekend (8th-10th June), this spectacular event is a showcase of Australia's top fencers. The event is held at Immanuel College, ‎‎32 Morphett Rd, Novar Gardens, SA. Spectators are more than welcome to attend, entry is free! Competitors - Please check below for news and updates on the event. Public OfficerRegistrations for the Robyn Chaplin Memorial event (AFC02) are now open. Public OfficerAttached is the preliminary timetable for the 2019 RC.